"Light" is meant for light to light medium skin tones and can be mixed with any of the other BEAR'S BEAUTY BALM colors to achieve your perfect shade. I am all about inclusivity, and I make products to order. If you are in need of a darker, redder, yellower, paler, or any other shade, please message me to commission custom work. Once the shade is created, I will offer it from then on. 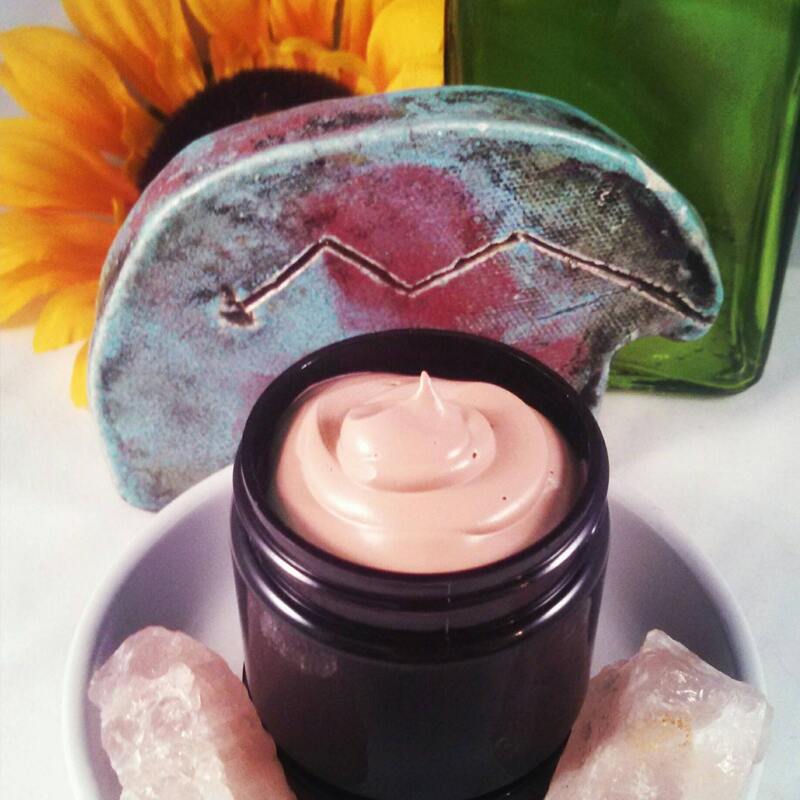 ★Butters + Oils Nourish skin without feeling thick or greasy, I promise! I DO NOT like to feel oil on my skin, this soaks in and leaves skin soft and protected. ☀ SPF is determined by expensive testing and depends on the freshness of the ingredients as well as the formulation. I can say, products on the market with 14% Zinc are rated SPF 20. All mineral SPF should be reapplied every 2 hours or so when in direct sun. ❤Tinted with Minerals to make it easily blend. ❤This is a Shea Butter-Free formula. It is made in a facility where I used Shea Butter, so please be super careful if you are allergic to nuts or Shea Butter. ◆ Minerals protect skin from harmful rays. ◆ Butters + Oils moisturize and smooth. ◆ Vitamin D supplements what you may miss out on using SPF. ◆ Offers light coverage of imperfections and leaves your skin looking flawless but not made up. I have VERY pale skin, like any foundation I get FAIR. I use this on my face in the summer and like the slight bronze. If I want to lighten a bit, I scoop out a 1/2 pea of this and 1/2 pea of either the Hemp Sun Cream or Sun Lover's Cream. Both are white and will help lighten this to your perfect shade.